Lasers accomplish best results with ease and simplicity. Different sophisticated and state of the art equipments have been designed for use in various parts of mouth for delivering laser therapies. Dental health care professionals highly recommend changing treatment approach. Thus, it is from the employment of traditional instruments towards laser guided armamentarium. Call Dentistry Albuquerque Dentist for more information. Albuquerque New Mexico 24 hours emergency specialist cosmetic & restorative dentist Dr William C Gardner at NM Family and Cosmetic Dentistry PC provides innovative laser technology for treating all of his patients for achieving excellent outcomes. So, get in touch with us for all your dentistry requirements. Q. WHAT ARE THE MAJOR USES OF LASERS WHICH CAN BENEFIT ME? A. Dental laser equipment is highly sophisticated and specifically designed for various dental treatment procedures. Lasers have been used for curing abnormalities and defects associated with teeth, gums, socket bone as well all the different associated surrounding structures. • Removal of tartar deposits below the gums. Wish to know more about Dentistry Albuquerque Dentist? Give us a call now! Q. WHY ARE LASERS POPULAR OVER TRADITIONAL EQUIPMENT IN MAJORITY OF CASES NOW? • Completion of treatment in quick time period due to advanced technology. • Lesser chances of spread of infections. The scope of infections is less with cross contamination through conventional surgical instruments. • Faster recovery period because of the modern technique. Q. 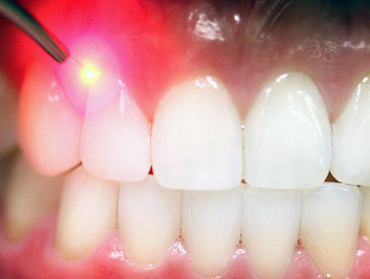 IS IT SAFE TO USE LASERS IN DENTAL TREATMENT PROCEDURES? A. Using lasers require skill, training and use by expert dental health care professionals because this is a sophisticated technology. Lasers produce heat which is not difficult to handle and is managable by use of coolants and employing specialized techniques learned with experience and skill. Q. IS LASER USE COST-EFFECTIVE IN DENTAL PROCEDURES? A. Lasers are expensive as compared to other dental equipment. However, use of dental lasers is cost-effective. This is due to their large number of advantages above other methods. Are you suffering from dental and oral abnormalities making your smile less pleasant? Is it affecting your daily activities? You can visit your 24 hours emergency Albuquerque New Mexico dentist Dr William C Gardner at NM Family and Cosmetic Dentistry PC. He is available throughout day and night. He focuses upon best solution for improving your dental and oral health conditions.So, without any delay call to fix an appointment right away!